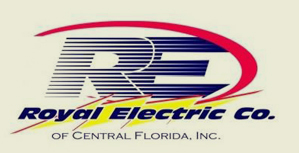 Blake Ferguson, Sr. is the founder and President of Royal Electric Co. of Central Florida, Inc. He is state certified in five states and maintains local licenses in several other states. His dedication and leadership has guided the company from the beginning. Blake Sr. has 40 years of electrical experience which is shown in his professional approach to each project he oversees. His hands on approach and enthusiasm for the industry motivates his employees to provide more than just electrical services, but powerful solutions for all our clients. Blake Ferguson, Jr. is the Treasurer of Royal Electric and Operations Manager for the Florida office. He brings with him over 16 years of management experience and electrical knowledge. Blake Jr. oversees the daily functions of the company. He is also responsible for the commercial estimating. In addition, he supervises the project management team. Blake Jr. has served on the board of directors for the Florida Association of Electrical Contractors for several years. His involvement in the industry and community has propelled him throughout his career. He also holds a Masters Electrical License. Brent Ferguson is the Petroleum Department Manager for Royal Electric. He has worked his way up through the company and is valuable asset. Brent possesses immense knowledge and experience in petroleum installations and service work. His dedication to each project and his demand for excellence shows exceeds his customers’ expectations. Lena Ferguson is the office manager for Royal Electric. She has been with the company since 1993. She handles payroll, accounts payables and human resources. Throughout her career with Royal Electric, Lena has increased her knowledge and skills to better serve the company and our clients. James Ruth is a Project Manager with Royal Electric. He has been with the company since 1995. He brings a vast background of experience that enables him to foresee problems on projects. James’ management skills make him a valuable asset to the company. His abilities to plan and communicate effectively are an invaluable resource to the contractors with which he works. He maintains an OSHA 10 and CPR certification. Paul Weicherz is a Project Manager with Royal Electric. He has been with the company since 2001. His dedication and personal service to his customers is unparalleled. Paul has a vast background of experience in building maintenance and tenant build outs that he is able to use to serve his clients effectively. He is able to easily identify electrical inefficiencies and provide solutions that benefit his customers by helping them save money on operations.